A Business Union - APWU! This website was created to serve APWU members of the Clerk Craft (Iowa, Missouri and Arkansas) and of the Maintenance Craft (Iowa, Missouri, Kansas and Nebraska). It is a joint venture of the Clerk Craft NBAs and the Maintenance Craft NBA of the Kansas City Office. We have found the "contact us" page on our site is not the most efficient way to contact the NBAs in our office by email. Please use the email addresses listed below to contact the NBAs directly. Thank you. Attached to this article is the Workforce Fund Settlement. This settlement is a huge step forward for PSE's and achieving parity with the regular workforce. It achieves: Health Benefits from Day One. PSE Sales and Service Distribution Associates receive a modest uniform allowance. PSE's will receive overtime pay for all hours worked over 8 and over 40. PSE's will receive Penalty overtime. As we have decried for years, we really need GATS numbers for your case files. An increased number of cases don't have GATS numbers on the Step 2 Appeal to Arbitration or the Step 3 Appeal. In a number of cases it is because the local has failed to go into EGS and modify the Step 2 grievance form. Double-check your denials to see if the GATS number is on there. Union Label Has an App The Union Label and Service Trades Department, AFL-CIO has developed a new mobile app. The app is your source for news and information from the department. 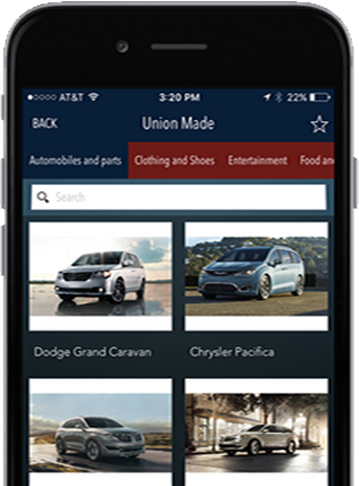 Within the app, you can search for union-made products and services. As well, you can quickly find the latest boycott information, copies of our newsletter, and a handy form to add your union-made product(s) or service to help other union members to buy union. We will also alert you to breaking news and important information when you allow "push notifications." Ensure that all appeals are timely mailed to this one address, per the terms of Article 15 of the National Agreement. To guarantee proper documentation of timely submission, please use certified mail for all appeals to the Postal Service. Please ensure that everyone responsible for sending up these appeals understands the Article 15 obligations and knows proper procedures. And, if you have any questions, as always please call our office at (913) 888-8555. The Union has developed a form (attached) for you to record the amount of clerk craft work that the Postmaster/OIC, Supervisor, PMR, or members of other crafts are performing in violation of YOUR contract. It can be used to document any type of violation when Postmasters, Supervisors, PMR’s or any other craft is improperly performing bargaining unit clerk work. No one wants to have double dues taken out when they transfer crafts and join the APWU; and we do not want a new member to be upset about this. Avoiding double dues can be done by following these few simple steps. Grievant was removed for theft of a $10 Target gift card from the mail. Evidence disclosed that she was on leave from December 24 through January 4 - therefore, was not at work on December 3 when the OIG agent placed the gift card in the collection box. Top of Page © Copyright 2019, American Postal Workers Union, All Rights Reserved.